1. Santa on a motorcycle with horns. 2. Santa on a train. I bet there's lots of presents in that caboose. 3. Santa on a surfboard. 4. Santa in a kayak. I guess, dogs with antlers make more sense than reindeer in the water. 5. Santa in an inflatable kayak. Who knew so many toys would fit in an inflatable kayak? 6. 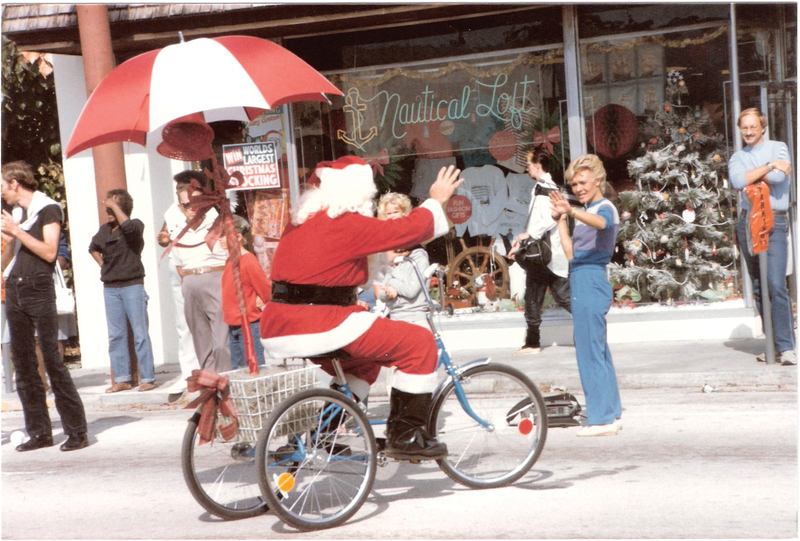 Santa on a bicycle. Doesn't seem to be able to carry that many presents. 7. Santa on a rickshaw. Santa's looking sort of lazy. 8. Santa rides an ATV. 9. Santa rides a firetruck. This makes a lot of sense, since Santa can just turn on the siren, if he is running behind schedule. 10. Santa on the log ride. This one doesn't make a lot of sense, but still I enjoy it. 11. Santa on a tricycle. 12. Santa rides a horse. I hope this Santa's not drunk, since he's on a horse. 13. Santa on a camel. Really hope this Santa is not drunk either, since he is on a camel. 14. Santa rides an ostrich. 15. Santa rides an elephant! 18. 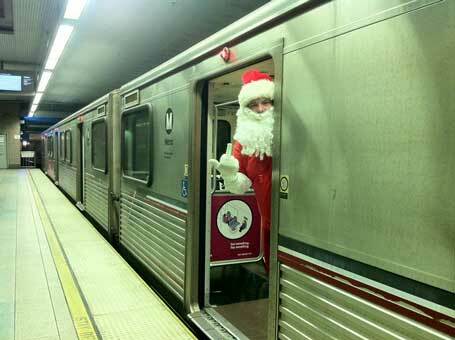 Santa sometimes rides the subway. But maybe you already knew this. 19. Santa zips around in a golf cart. 20. Santa on a helicopter. Apparently, Santa is a BAMF.